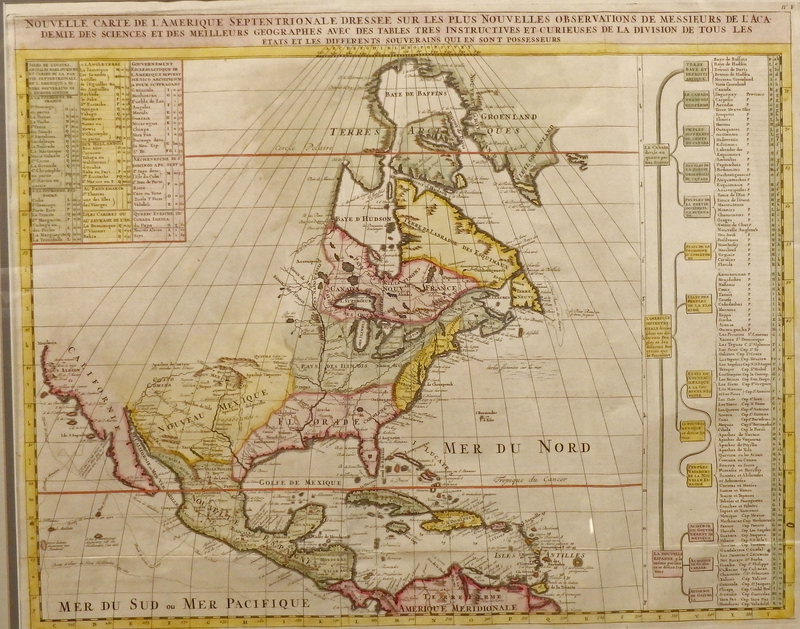 Published by Chatelain in Amsterdam in the 1705 edition of his Atlas Historique. Shows some of the first correct depictions of the Great Lakes, along with considerable detail along the Atlantic and Gulf of Mexico coasts. Numerous Indian Nations are identified, along with several mythical “Cities of Gold,” including Quivra (Quivira) just west of the Mississippi River, and Cibola in New Mexico. This is also one of the first maps to depict California as attached to the mainland, instead of an island off the Pacific Coast of America. Very innovative for its time, the Atlas Historique combined fine engraving and artwork with excellent information on geography, history, ethnology, heraldry and cosmography. Recent scholarship suggests that the Atlas was worked on not just by Henri but also by his father Zacharie and his brother, also Zacharie.